At Unique IQ, we know that one of the things it’s difficult to monitor is if your carers have made it to your client’s homes on time, are running late or if the appointment didn’t happen. Let’s take for instance the example of a patient with dementia who is insistent that her carer hasn’t been for weeks and weeks. You know that is unlikely, but do you have the evidence to back this up? 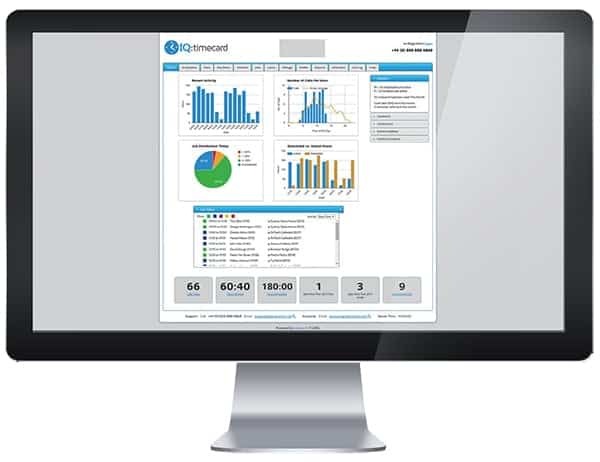 Our IQ:timecard is the solution for you. With its mobile app system, your workers can call in on their mobile or their client’s home phone to report to the system that they have arrived at the appointment. By repeating this process for when the session is finished, means you can see in real time that your workers have made it on time, are running late or if the appointment didn’t go through. IQ:timecard will allow you to act quickly on missed appointments, find out the reason why and how to deal with the situation. This way you won’t have any unwanted surprises of clients calling to complain when an appointment is missed. However, that’s just standard monitoring and IQ:timecard can offer much more. Including calculating mileage claims, allowing remote workers to report directly to the system on the move and organising the information into a report for the CQC. Not only that, but you can also display the information in real-time with our interactive map, showing you where all your carers currently are. It’s not just our solution that is great, our team will work with you from start to finish, with a demo to show you how it works and discussing any worries you may have or any changes you would like. We can make this solution bespoke to not only suit your needs but also to integrate with any existing time-management software you may have. Our team is only a quick phone call away should you have any issues with the system after integration to help you with any problems as fast as possible. If you would like to find out more, contact us on 0800 888 6868 to book in your demo or with any enquiries you may have.